A sense of camaraderie radiates among the group of women. Conversation bubbles, and laughter fills the room, while they bow their heads intently over the objects of interest in their hands. Far from comparing photos or the latest social media posts on their phones, these women are focused on learning the intricacies of the age-old practice of basket weaving. 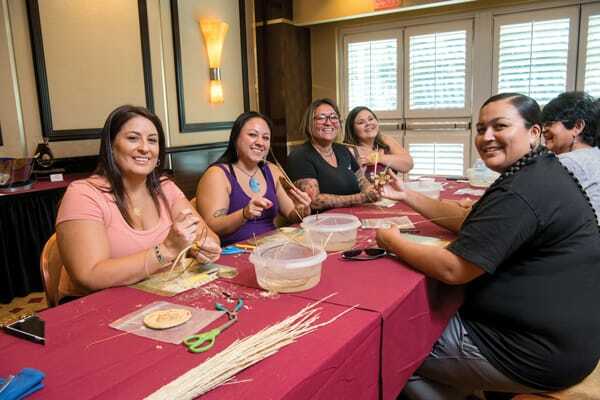 Once central to the Agua Caliente way of life, basket weaving is being revived among a new generation of Tribal members eager to learn the craft and keep the tradition alive. One can imagine a similar convivial scene unfolding among Tribal members in centuries past when they would gather to labor lovingly over basket creations. Serving both functional and ceremonial purposes, baskets were, by their very nature, intimately woven into the fabric of their lives. Unfortunately, encroaching Western civilization appeared to forecast basketry’s demise at the beginning of the 20th century. 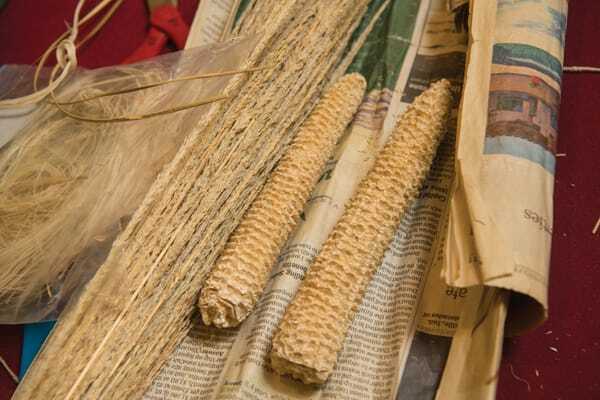 Tribes were forcibly removed from their homelands and relocated to reservations, losing access to the natural materials they needed to make their baskets. Development of what used to be their land further decimated native plants and grasses essential to the craft. In a final blow, Tribal elders who traditionally would have taught young Agua Caliente girls basketry skills began to pass away. If not for a concerted effort by Tribal members in the mid-20th century through today to preserve the practice and teach future generations, the tradition may have disappeared altogether. 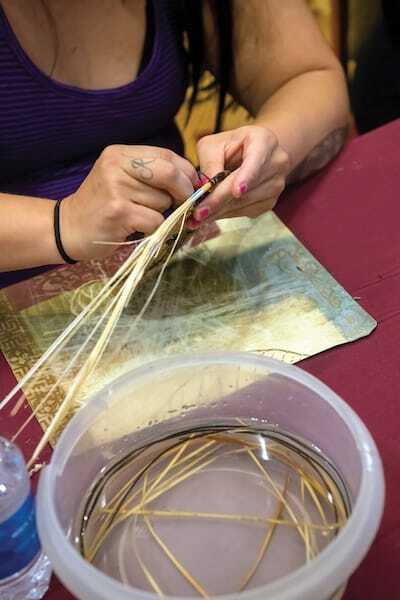 Present-day gatherings coordinated through the Agua Caliente Band of Cahuilla Indians Cultural Committee indicate basketry is alive and well. Duran began attending basket-weaving classes in 2016 and rarely misses the bimonthly sessions. Like others around her, she is using plants and grasses native to the region — namely yucca and juncus — to start her basket at today’s weaving class. These typically form the base. Later, she will incorporate deer grass, another sumac plant variety often used to create Cahuilla baskets. Of course, it isn’t simply a matter of sitting down and starting a basket. Instructor Rosie Salinas, a Mountain Cahuilla who has been teaching the art for more than 20 years, first takes students on seasonal field trips to source materials. “I want them to be able to identify the plants and grasses, the things we pick, and where and when we pick,” she explains. 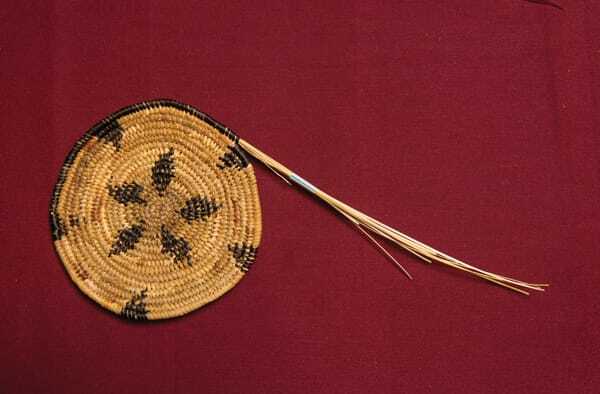 She also instructs on the four color possibilities for Cahuilla baskets — tan, black, red, and white. The final color depends on the kind of materials used and how they are treated. Tan, the most common, is the color of sun-bleached juncus and deer grass. White comes courtesy of the sumac plant, while the bottom of juncus grass yields a rich, natural red. Black is achieved by soaking juncus for a lengthy period in a watery bath containing rusty cans and nails and the shells of black walnuts. While materials and their preparation stay true to tradition, today’s basket weavers take advantage of modern tools as well. 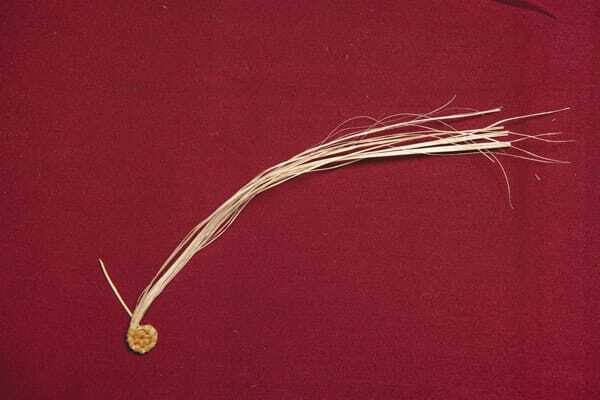 Once upon a time, Tribal members used bone awls to hold their fledgling baskets in place as they commenced the coiling process; today’s weavers use awls with tapered metal shafts. They also utilize bits of plastic drinking straws as indicators of when to add more material. “When the straw falls off, you know it’s time to add another piece in,” Salinas says. 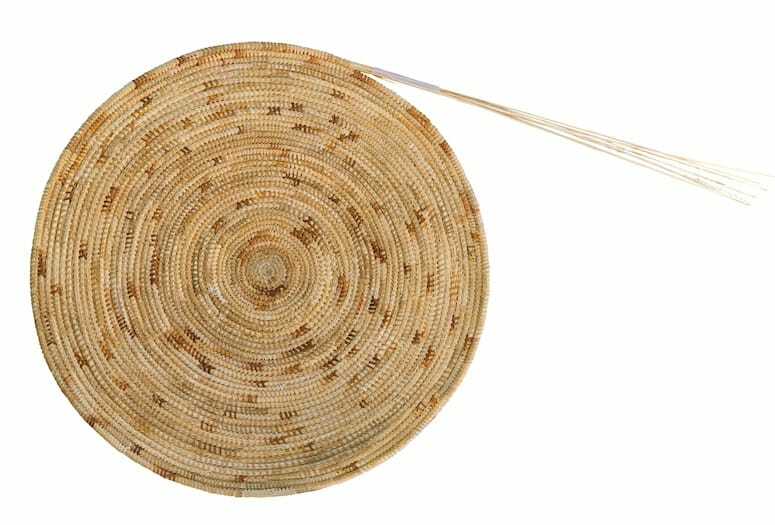 Sometimes the old ways work best; for instance, some basket weavers still run pieces of deer grass between two dried corncobs to remove any stickers running along the spine before working the grass into a basket. Initially, the idea of creating a pattern seems daunting to beginners, but it is essentially a counting game. A weaver introduces tiny stitches incorporating color at intended points to achieve a specific pattern each time they come around in the coiling process. “You learn by doing,” Salinas says. 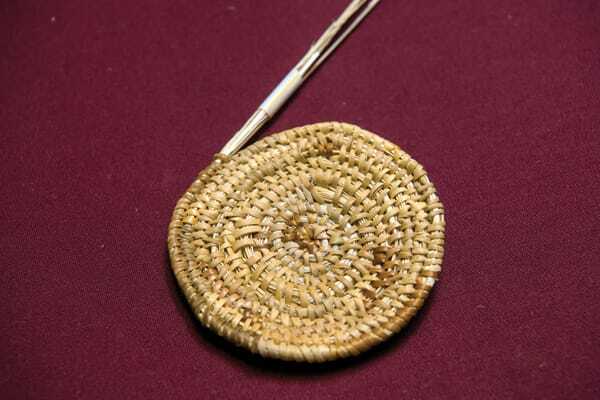 “The more you practice the craft, the better you get.” From collecting, preparing, and dyeing the plants to the actual weaving, a single basket can take anywhere from several months to several years to complete. 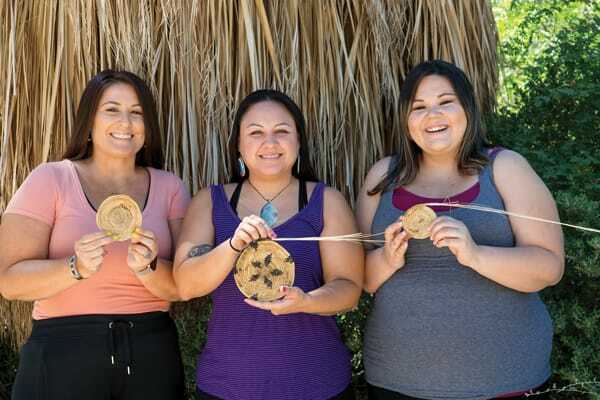 Gracie Duran (Tribal Member’s spouse) and Tribal Members Brianna Duran and Shaneece Lopez gather twice each month for basket-weaving classes organized by the Tribe’s Cultural Committee. They are among a new generation of Agua Caliente and family members keeping this age-old craft alive.